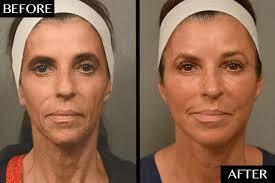 Fat Transfer, also known as fat grafting or fat injection. A fat grafting procedure transfers fat from areas in which you have excess fat, such as the outer thighs, and injects it into areas that may be lacking in volume, such as your face, hands, breasts or buttocks. 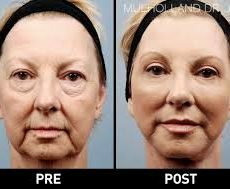 This safe, long-lasting, well-tolerated procedure produces natural-looking results. How is a fat transfer procedure performed? Fat is harvested from one part of your body, washed and purified, and then carefully reinjected with specially designed needles into the areas that need augmentation. 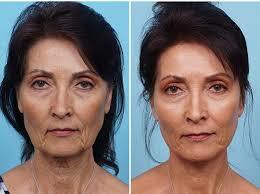 It may be necessary to repeat the fat grafting procedure several times to achieve the desired result. Fat grafting can be explained as a three-stage process: (1) harvesting (2) purification and transfer and (3) placement. Harvesting: You, along with Dr Pillay will select a site for fat removal and will inject it with a local anaesthetic. Dr Pillay will then create a small incision in the area for fat removal and, using a sterile technique, insert a cannula connected to a syringe to carefully extract fat (liposuction). Purification and transfer: Once enough fat is obtained from the donor area, Dr Pillay will process it to prepare the fat cells for transfer to small syringes that will be used for fat injection. Purification may require the use of a centrifuge to spin the fat or a filtration process to remove impurities. Placement: The area designated to receive the graft will then be prepared. Dr Pillay will insert a needle or cannula into the incision point of the site being augmented. The injection needle is usually passed in and out of the areas to be augmented multiple times. Each time the needle or cannula is withdrawn, a line of fatty tissue parcels is carefully deposited in natural tissue planes. This process is repeated until the desired correction has been achieved, creating a grid of grafted fat. Dr Pillay may also place a dressing or bandage over the grafted area. The goal for Dr Pillay, The Wembley MediSpa’s plastic surgeon is to help you achieve the most beautiful and natural-looking results, as well as to make your surgical experience as easy and comfortable as possible. After surgery, you and your caregiver will receive detailed instructions about your postsurgical care. The swelling and bruising during the first week are significant, and you will not be ready to see others socially or professionally. In the second week the bruising resolves, but you will still have swelling. There is great improvement in most cases between the seventh and tenth days, but you may still not be ready to go out in public. Most people who have very little time off from work take one week off, including two flanking weekends. Those who can afford two weeks off or more are even better positioned to return to work. By the third week you will begin to look more like yourself. Careful application of makeup can be helpful in camouflaging any residual signs of swelling or bruising. Once the swelling recedes, you will be able to appreciate the changes, but subtle swelling may persist for weeks. It’s important to return to your plastic surgeon’s office for follow-up evaluation.